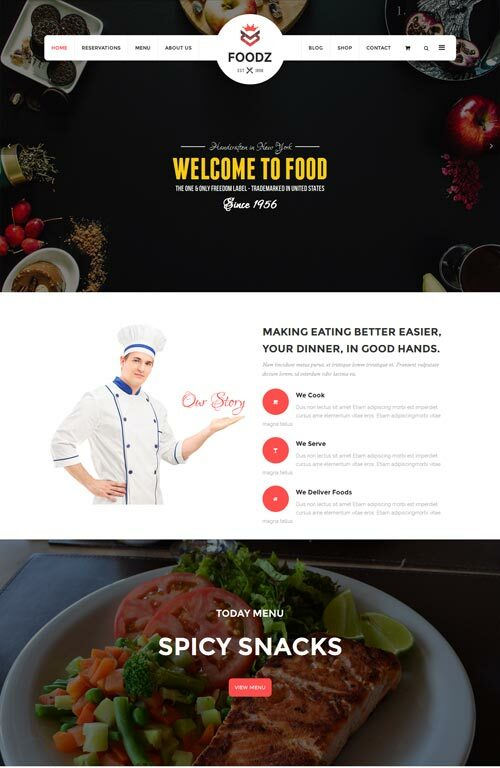 Foodz from ThemeForest is a Joomla template for food business companies or individuals. It will help you present your drinks and food in an easy way so that visitors see your amazing food. Also you can us it for spa and salons websites. It is also responsive in order to suit to all devices (mobile, tablets, etc). If you like a clean and modern design, it is an absolutely perfect template helping you to build a unique website with little time. Foodz comes out with tons of meaningful features, plus glorious design and the vast amount of options for configuring this template. Let’s have a walk through and experience this outstanding template!